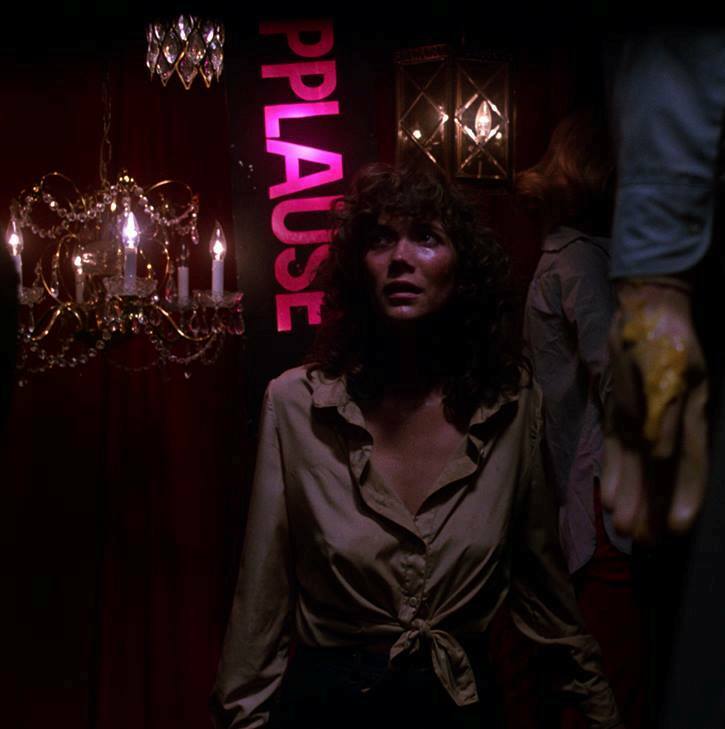 Digi-Schlock: CURTAINS (Synapse Blu-Ray) – Schlockmania! It has taken Curtains a long time to build its reputation as a cult favorite in horror fandom circles. A big reason behind this slow build is that all past video versions of this film have been hard on the eyes. The original Vestron VHS was a dingy, dark eyesore and the dupes that have popped up in cheap-o horror DVD collections seem to have been drawn from the same crummy master. Thankfully, Synapse has picked up the gauntlet to restore this title – and the results are magic for fans of ’80s horror. The centerpiece of the set is a fantastic new HD transfer drawn from the original elements. The level of fine detail is eye-popping, the color palette is lavish and the overall image quality has a rich, celluloid look that preserves the film’s glossy look without ever allowing to get too grainy or too slick. The original mono mix is presented in lossless form with this transfer as well as a new 5.1 stereo remix. The latter was utilized for this review and is a tastefully done, immersive affair that draws out Paul Zaza’s musical score and some choice sound effects without ever going to artificial lengths to boost the mix. Simply put, Curtains has never looked or sounded this good before and it’s hard to imagine anyone will top Synapse’s work here. Synapse has also included a fistful of extras that address the fascinating story behind the film’s troubled production, a tale that is almost as twisty as the film’s plotline. The bonus features begin with two commentaries. The first features stars Lynne Griffin and Lesleh Donaldson, with Edwin Samuelson serving as moderator. Samuelson prompts the two with questions: their memories on varying topics can be hit-or-miss but both still have interesting tales to tell. Griffin reveals that she wrote much of the stand-up act she performs in the film, as well as the place her mother makes a cameo, and Donaldson talks about the hassles of her big skating scene. 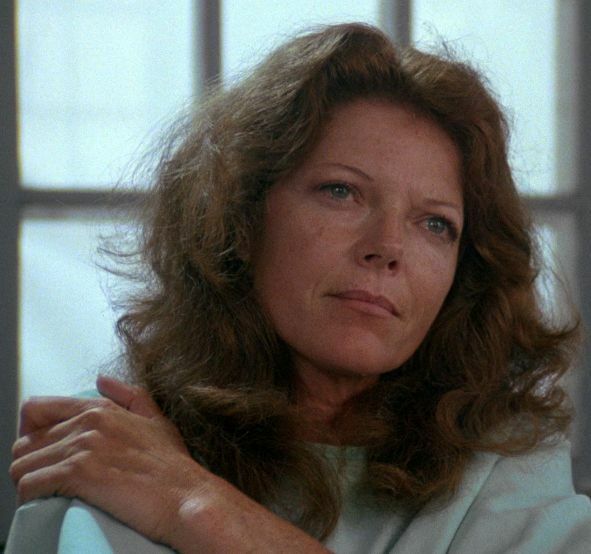 Both praise Ciupka for his actor-friendly ways and admit that Samantha Eggar could be a bit haughty. The two have a fun, jokey rapport and that quality makes this track a pleasant listen. The second commentary track isn’t a commentary in the classic style: instead it collects a little over an hour’s worth of audio interview material with producer Peter Simpson and star Eggar. Simpson gets most of the time and he’s amusingly forthright and profane. He’s frank about the weak skills of the film’s lesser actresses, claims to have written half Vernon’s lines, discusses the extensive material he directed for the film’s opening and closing sections and even identifies the secret identity of a celebrity “stunt breast” used in one scene. Eggar’s material runs a brief 10 minutes, offering more of a thumbnail overview of her career. 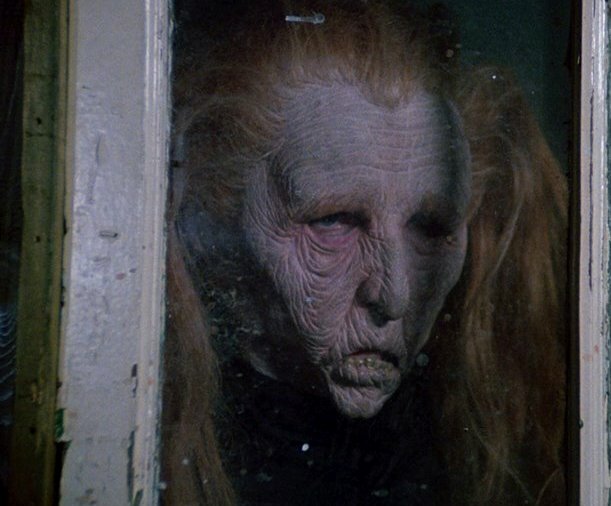 Curtains is only mentioned briefly – she makes it clear she’s not into the horror genre – but she does reveal the interesting, lifestyle-based reason that she end up doing a run of horror and action genre entries during the late ’70s and early ’80s. Elsewhere, there are two featurettes. The first is a vintage piece entitled “Ciupka: A Filmmaker In Transition.” This 15-minute piece offers a biographical sketch of his rise as a young cinematographer in Canada during the late ’70s/early ’80s and the circumstances that led to him making his directing debut on Curtains. There is some nice on-set footage here, particularly a bit where Ciupka directs John Vernon. Interestingly, he questions how much directing he wants to do near the end, which is ironic as it take over a decade for him to make another feature after Curtains. The other featurette is a new retrospective piece produced for this set by Michael Felsher’s Code Red Pictures. It is entitled “The Ultimate Nightmare” and offers a 36-minute account of the film that features input from Ciupka, Griffin, Donaldson as well as several crew members like composer Paul Zaza, makeup FX designer Greg Cannom and editor Michael McClaverty. The results are an eye-opener that gets deep into the tangled politics beneath the surface of the production. Ciupka is frank about his disappointment with the film, including his shock when he first saw the scenes that he didn’t direct. MacClaverty reveals how Simpson decided to rework and restructure the film, including a second ending that was ultimately rejected, and Zaza adds some interesting shadings to the discussion by revealing how producer Peter Simpson tended to use directors as easily-replaced patsies. There ‘s also trivia like Cannom revealing how a subplot involving the character of Samantha being a banshee was written out of the film because Eggar didn’t want to wear the makeup. Everyone admits to being embarrassed by the final film and surprised by how it became a cult item via t.v. screenings and home video. In short, this is a riveting piece that offers insight into how political film production can be as well as the tortured route that a film often takes on its way to developing cult popularity. The package is rounded out by a vintage red-band trailer for the film that does an effective job of selling the film as a twisty-turny shocker. All in all, Synapse’s edition of Curtains is one of the finest genre home video release of the year, giving a stellar transfer to a film that has long needed one and an array of supplements that take you into its fascinating history. Anyone into ’80s horror should snap it up, post-haste. To read Schlockmania’s film review of Curtains, click here.